So you have a smart meter, but you're looking for ways to further engage with your home energy usage. One method you may want to look into is enrolling in a prepay electricity plan. Like adding minutes to a cellphone plan before you use them, prepay is simply pay-as-you-go electricity – instead of getting billed at the end of every month. 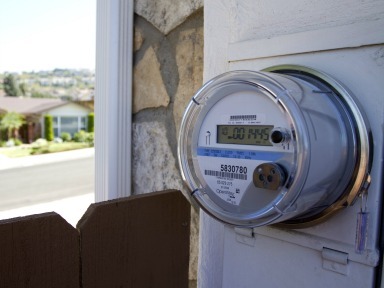 And while prepay plans have existed for years, the transition to smart meters and the of advent new software solutions have created a new playing field for these plans. Under the right circumstances, modern prepay plans can help you become more aware of your home energy usage and could help you save money each month by becoming more energy efficient. There are several other benefits that may appeal to consumers. Most of the time, prepay plans require no upfront costs when you sign up, and after you enroll, many programs will allow you to view your energy usage in real-time via your smartphone, laptop or sometimes an in-home display provided by your utility. However, one caveat to consumers is that not all prepaid plans are created equal. An oft-cited issue with prepaid plans is that consumers’ energy can be cut off instantaneously if the account runs down to zero – even on a hot summer day where the temperature approaches three digits. But this certainly isn't the case with all programs. Many programs have very tight restrictions around when power can be cut off – never on the weekend, holidays or around extreme temperatures (both hot and cold) and usually after a 24 or 48-hour window where your account has already been sitting at $0 remaining. A well-designed program will typically provide customers with ample notifications that their account is getting low and can provide estimates of how much longer they have left at current usage rate. Some programs are also developing new, easy ways to add money back on to your account, like at the check-out lane at your local grocery or pharmacy or through a few, quick steps on a mobile app. While there is, for some, a stigma that pay-as-you-go plans are only for lower-income customers who cannot afford regular service, research has shown that this isn’t really the case. The benefits – namely, lack of upfront costs and increased control over energy usage – appeal to a wide-range of energy customers, and prepay plans are slowly becoming more popular as more utilities adopt these programs. Ultimately, prepay plans may not be the right fit for all energy consumers, but for those that enjoy engaging with their energy data and maximizing their home energy conservation (plus the aforementioned examples), they offer an increased level of transparency and could potentially help save up to 15 percent on each month’s power bill. In addition, prepay programs could, for example, appeal to owners of vacation homes, short-term renters (like college students), people who are paying someone else’s electricity bill and other subsets of consumers. If you're interested in enrolling a prepay plan, you should check with your local utility to see if they currently offer a plan and, if so, what the details of that plan are. Ask questions related to the rate that you’ll be paying and the procedures for turning off and restoring power. In addition, you may find value in checking with a consumer advocate in your area, as many have already reviewed these plans to assess adequate consumer protections.